A leading name in manufacturing and supplying of Three Axis CNC Control Milling Facing & Centering SPM. Being one of the renowned organizations in the industry, we are highly engaged in manufacturing a premium quality range of Facing And Centering Machines. 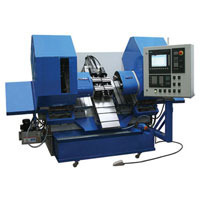 Centering machine is designed for making maximum BS 4 Centre drill on shafts for between Centre turning and grinding. Hariss Facing and Centring Machines are available in two versions, two- and four-headed machines. 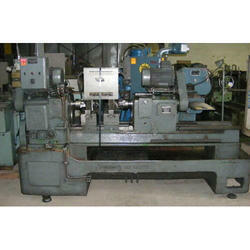 we can provide you with any size and length of facing and centering machines. We hold industry expertise for manufacturing Centering Machines, which are highly demanded in the market. Clients can avail the machine in various sizes and length as per their requirements. Owing to rigid construction having a separate spindle head, the machines are used for center drilling operation. Any dimensional products Centering to Conveyor or Customised Machine. Material - M.S, SS, Aluminum. Product - Crates, Carton boxes, Tins and Other.